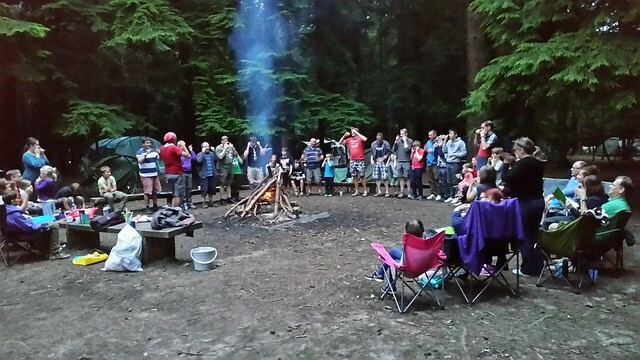 Another great weekend at Bentley Copse, a truly fabulous time in the Surrey Hills. Leaders and Parents working together to encourage the young people to be creative and try some of the more challenging activities in Scouting, also put to use some of those traditional Scouting skills. Some of the activities on offer this year were Quad bikes, abseiling, laser tag, pioneering, zip line, fire lighting, treasure hunt, geocaching, hike, survival bracelets, lanyards, balloon modelling, tie-dye, face painting… all the Young People that attended would have completed something towards those all important Chief Scout Awards and Activity badges. Thanks to the leadership team “@4thWey” for giving up their time and dedication to the Scout Group.